I’m going to admit something that I don’t often like to admit to myself. I’m tired! Lately I’ve been dragging myself out of bed in the morning and can’t wait until my head hits the pillow at night. I’ve lived through two babies and the sleep deprivation is intense, but now that my kids are older they seem to have even MORE energy and I seem to be having LESS. However, I’ve been inspired to ramp up my yoga practice since my oldest daughter is now taking a yoga course on Wednesdays after school. It’s helping with my lack of energy but it is also causing muscle aches that I didn’t used to get. I realize I’m getting older, but – wow – being tired and sore is the WORST! 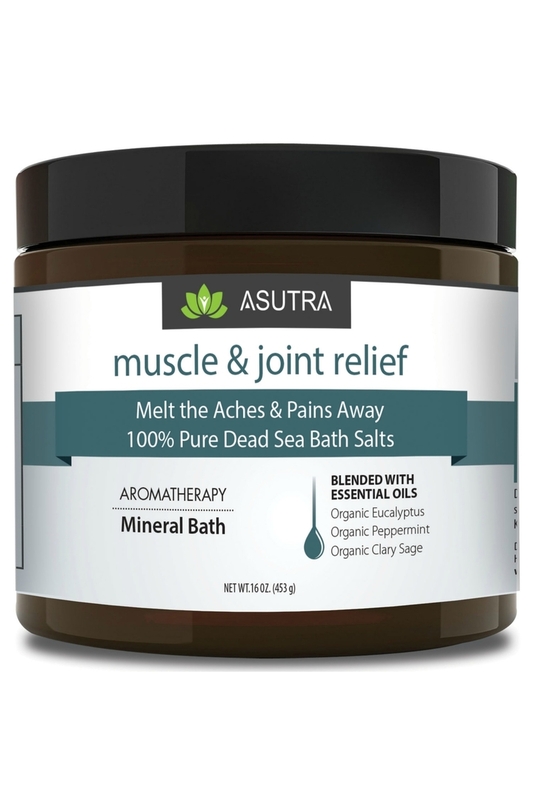 When I was looking at Houston company ASUTRA’s site to look at their all natural yoga mat cleaners, my mind and mouse wandered to their healing bath soaks section and I saw their “Muscle & Joint Relief” bath salts. 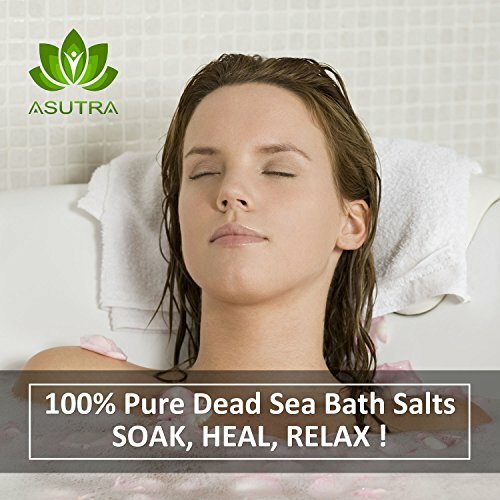 It didn’t take me long to say, “Yes, I want that!” because their bath salts are all natural, contain therapeutic grade sea salts and organic essential oils. My Epsom salts just aren’t cutting it these days and ASUTRA’s 16 oz. tubs seemed like the perfect way to treat myself to multiple healing baths for my aching body! If you wanted to package up the perfect sore muscle relief gift, it would look like “Muscle & Joint Relief” by ASUTRA. This wonderful soothing formula envelopes the bathroom and I feel so relaxed and pain-free after a hot bath in it. The eucalyptus and peppermint oils make your body feel fresh and tingly while the sage helps relax your mind. The bath salts also contain Aloe Vera and Vitamin E so your skin gets some awesome hydration. It’s an Epsom salt soak to the max and you will thank me for having used it for your sore muscles. AHHHHH! Relief! Did I mention it was made right here in Texas? Oh yeah! Love.